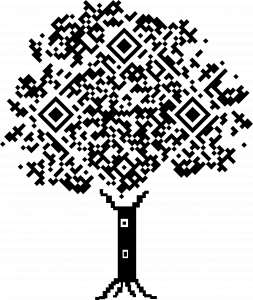 QR codes are squares of squares in an apparently random pattern but with the aid of a smart phone they can give a vast amount of information. With Grown in Wales they directly connect the consumer with the growers of the product. The label is a visual method with the map of Wales and the county highlighted which with other details is searchable on this website. This is the Grown in Wales website QR code as printed on the label. The QR code when scanned by a smart phone goes directly to a smart phone optimised page on this website. This website is searchable in the shop by the consumer if he or she so wishes. Grown in Wales is putting QR codes on member’s products. After scanning these QR codes with a smart phone, the buyer is given the story of the products they are purchasing. More specifically, a shopper buying a Grown in Wales item could scan the QR code and go to the member’s home page. As a result, consumers would learn to patronize Grown in Wales products more. 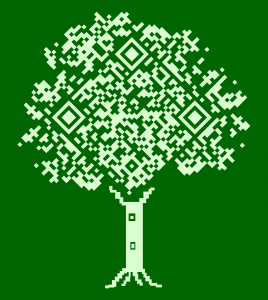 We think that this is a great use of QR codes. If you want to highlight a particular product line that you have, or spread more information about your brand, QR codes are the way to do it. In Grown in Wales’s case, we are able to do both with these QR codes. The thing is, by simply adding a QR code to these products, these have ceased to be ordinary products. Knowing the difference and the stories behind Grown in Wales apples, for example, would set them apart from other apples. These are not just run of-the-mill apples, they are Grown in Wales apples. Also for example buying Welsh strawberries helps the farmers in Wales get a fair price on their strawberries, plus a premium and also shows which enterprises use them and where they are on the menu in a restaurant. Buying them gives a sustainable future for Welsh growers, places to eat and enterprises. The Grown in Wales website lists which products are under the Grown in Wales line. You could learn more by visiting each product page. Using these QR codes, we are hoping that consumers would get to know about Grown in Wales and how it helps members make a better profit. As a result, consumers would learn to patronize Grown in Wales products more.